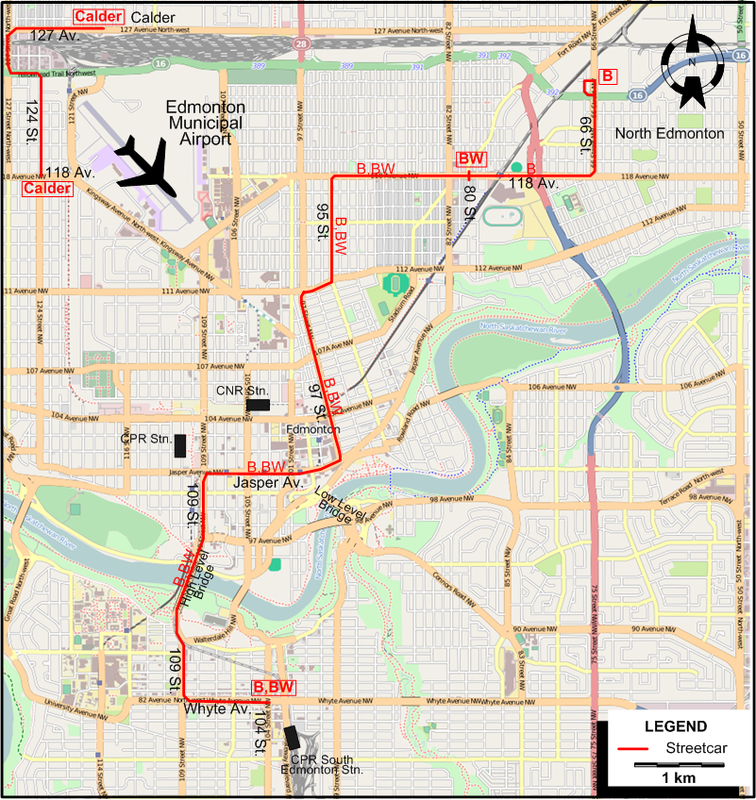 The Edmonton streetcar network in its dying days, after abandonment of service on 114 Avenue and 101 Street. Note the isolated Calder stub service. 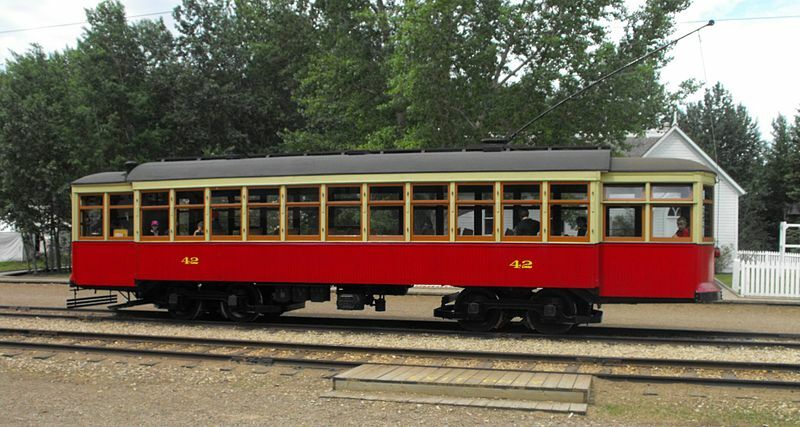 Streetcar routes in Edmonton were identified by a colour scheme that appeared both in panels and lights used on the vehicles. In the table below, a letter code is used for the appropriate colour(s) (it also appears on the map). The full route name is also given. Streetcars (Old system): 9 Nov. 1908 - 2 Sept. 1951. C-Train (LRT): 23 Apr. 1978 - today. Hatcher, C.K. & Schwarzkopf, T. Edmonton's electric transit: The story of Edmonton's streetcars and trolley buses. Toronto: Railfare Enterprises, 1983. Simons, V. "Driving North American 'Urban Style' LRT", Tramways & Urban Transit, March 2015 (78: 927), p.101-104. Taplin, M.R. Tramways of North America including rapid transit. Hassocks (West Sussex), England: Light Rail Transit Association, 2nd ed., .